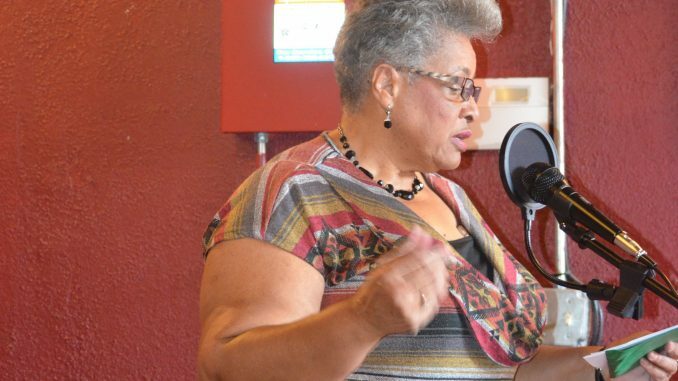 The Diversity Team of the Franklin County Arts Council (FCAC) invites singers, musicians and poets to participate in an Open Mic Saturday afternoon, February 16, 2019. Come and enjoy the Open Mic, to be held at Muddy Mountain Art and Wine Bar, located in Suite 102, 348 S Bickett Blvd, Louisburg, NC. The event starts at 2pm. Free snacks will be provided. The FCAC diversity team is made up of members who seek to sponsor arts opportunities to increase overall interest and participation in the culturally diverse community that is Franklin County. Anyone wanting to join the team and help plan events may contact the Franklin County Arts Council by email or 919.497.6910. The diversity team meets on the first Thursday of each month at 2:30pm at the Gallery on Main, located at 118-B North Main Street, Louisburg, NC.